We begin each project with the development of a knowledge base from which to prepare a conservation program to ensure the best restoration plan for each structure. 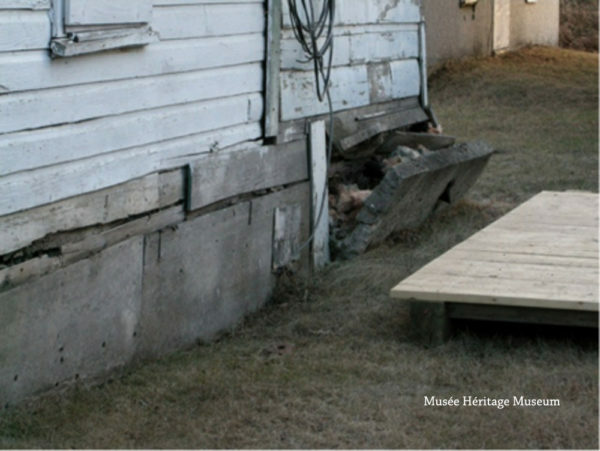 Conservation activities at the Hogan/Belcourt House began in 2010 with the assessment of the structure and the development of a statement of significance to outline the features of the structure that are important and must be kept in the restoration process. 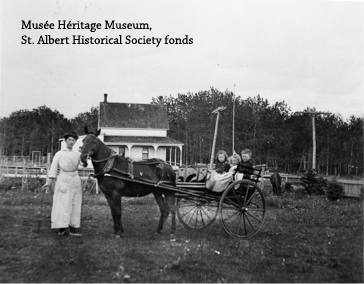 Mrs. Ternan with children in front of Hogan/Belcourt house, ca. 1915. The history of the house was documented and historical overview was prepared. Documentation of the structure included “as found” photographs of the structure, legal descriptions and historical documents which included archival research for pictures and documents related to the house and its occupation. Once the building has been documented the restoration activities begin. 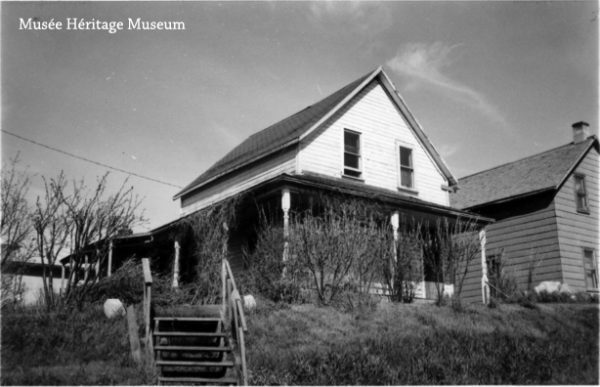 In the case of the Hogan House our research showed us that the original structure was in relatively good condition. There were two major concerns. 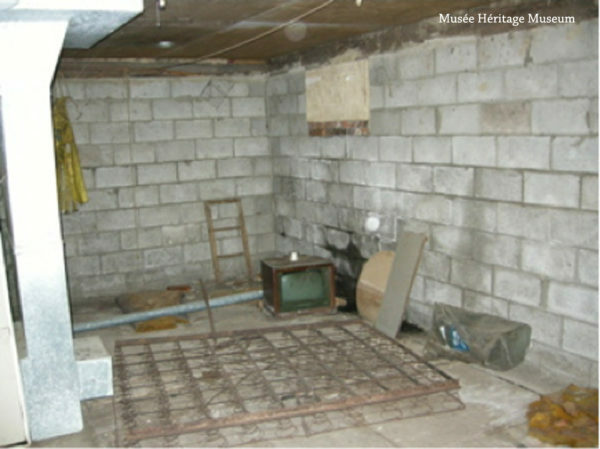 The original cinder block foundation had failed and was collapsing in (photo to right is the interior foundation wall collapse) and the kitchen addition was in dire need of replacement. This gave us our starting point. We began by raising the building on steel beams then moving it off to the left on other steel beams which were laid diagonally to the beams under the house and their top surface was coated with Ivory Snow soap to allow for easy movement of the house to a secure location allowing us to pour a new foundation. Exterior foundation wall collapse on Hogan house. This story will continue….more restoration information to come!